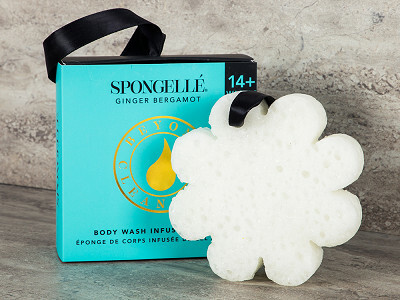 Spongellé makes Infused Soap and Pedi-Buffers that do more than most exfoliating sponges—four times more. Infused with premium skin care ingredients and exotic extracts, these luxurious buffers exfoliate, massage, cleanse, and moisturize all at the same time. With delicate, invigorating scents, these Made in the USA bath products are a treat for the senses. 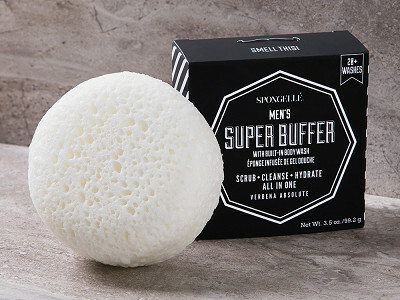 Enjoy each sponge for a few weeks or more, courtesy of a unique technology that lets the soap and other nourishing benefits last through multiple showers. And the surface texture is special, too—changing from a rougher exfoliating texture to a soft, silky one when you squeeze the sponge. Tired of her youngest son wasting body wash, Founder Elaine Binder developed the idea for an exfoliating sponge infused with body wash. The Spongellé Pedi-Buffer is perfect for in-between pedicures, while the Body Buffer will rejuvenate your entire body. With their luxe ingredients and giftable packaging, these premium bath sponges make perfect gifts for someone special, including you. Hello everyone! I'm proud to present Spongellé to The Grommet. I'd be happy to answer any questions you have! Have you considered creating Spongelle' for use on your face? I would love to have an exfoliating sponge with luxuriating soap that would get rid of the dry, flaky skin while moisturizing at the same time. @Tina thank you for your inquiry, this is a great question. yes, we are in the process of creating a facial multi use and multi purpose sponge and will share with Grommet community as soon as the product becomes available. These look wonderful! Are they recyclable or biodegradable? 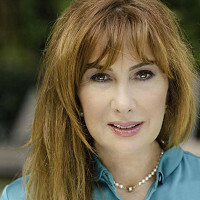 @Annette Thank you for your question. Yes, Spongelle Buffers are absolutely recyclable and could be re-used once the ingredients are out to wash dishes, wash cars or used as water retainer for plants. I received one of these in my Pop Sugar must have box several months ago. Fantastic product! So luxurious and a wonderful scent. Highly recommend if you need a little indulgence! Thanks for the kind words, Jamie! Our CEO, Jules Pieri, will be thrilled to see that Tigers logo, too!